A Commons committee has concluded that the firm’s founder Mark Zuckerberg failed to show “leadership or personal responsibility” over fake news. Untrue stories from foreign powers were risking the UK’s democracy, they said. 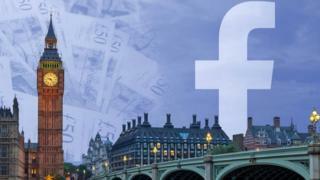 Facebook welcomed the digital select committee’s report and said it would be open to “meaningful regulation”. MPs said that what was needed to deal with the proliferation of disinformation online and the misuse of personal data was a “radical shift in the balance of power between social media platforms and the people”. 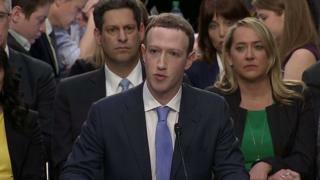 In response, Facebook said: “We share the committee’s concerns about false news and election integrity and are pleased to have made a significant contribution to their investigation over the past 18 months, answering more than 700 questions and with four of our most senior executives giving evidence. 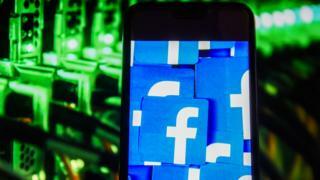 “We believe that in its evidence to the committee, Facebook has often deliberately sought to frustrate our work, by giving incomplete, disingenuous and at time misleading answers to our questions,” he said. “Even if Mark Zuckerberg doesn’t believe he is accountable to the UK Parliament, he is to billions of Facebook users across the world,” said Mr Collins. He also accused Facebook of “bullying” smaller tech firms and developers who rely on their platform to reach users. MPs said current electoral regulations were “hopelessly out of date for the internet age” and needed urgent reform, so that the same principles of transparency of political communications that operate in the real world were applied online too. In order to better regulate social media firms, the MPs suggested creating a new category of tech firm – one that was neither a platform nor a publisher but something in-between, which would tighten the legal liability for content identified as harmful. In her report, Dame Frances Cairncross said such sites should help users identify fake news and “nudge people towards news of high quality”. Two of those agencies – Associated Press and Snopes – recently quit working with the social network.